This new structure resulted in some unusual reporting lines that went outside normal chains of command. Strzok, who would not normally fall under Priestap’s oversight, was now reporting directly to him. As Priestap described it, the team involved in the Clinton investigation comprised three different but intertwined elements: the primary team, the filter team, and the senior leadership team. 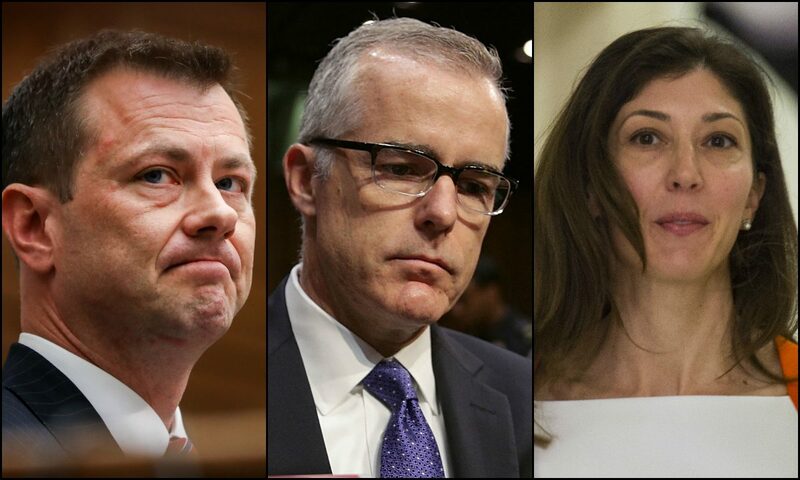 The primary team was small, consisting only of Strzok, FBI analyst Jonathan Moffa, and, to varying degrees, filter team leader Rick Mains and FBI lawyer Sally Moyer. Mains reported to Strzok and Moffa, who in turn, along with Moyer, provided briefings to Priestap. Below Strzok and Moffa was the day-to-day investigative “filter” team of approximately 15 FBI agents and analysts that was overseen by Mains, a supervisory special agent. The senior leadership team was more fluid, consisting of higher-level FBI officials who provided briefings and updates to Comey and/or McCabe. 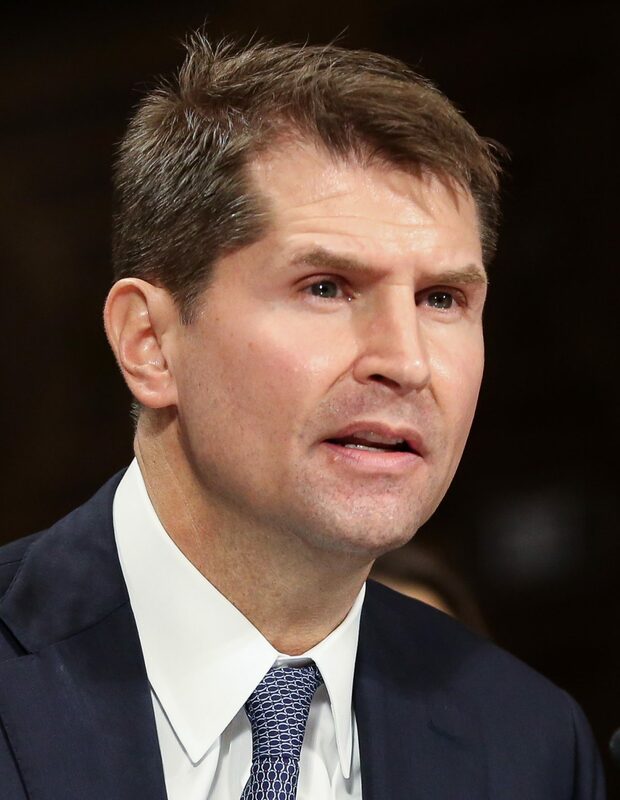 In addition to Priestap, Strzok, and Moffa, frequent attendees included Moyer, Page, Deputy General Counsel Trisha Anderson, chief of staff Jim Rybicki, and General Counsel James Baker. While the elements of the day-to-day investigative team differed for the Clinton email investigation and the Trump–Russia investigation, the primary team remained the same throughout both cases—as did the lines of communication between the FBI and the DOJ. 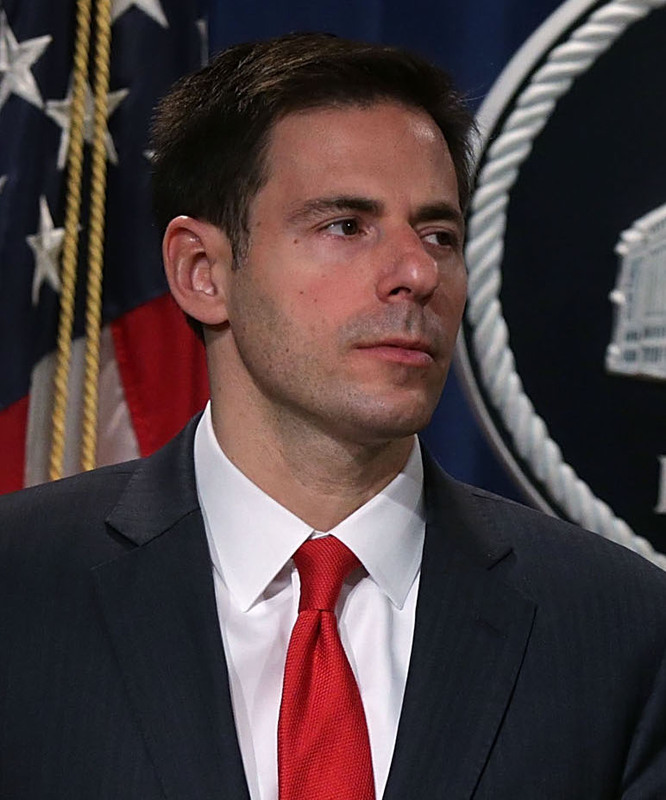 According to testimony by Page, John Carlin, who ran the DOJ’s National Security Division (NSD), was receiving briefings on both investigations directly from McCabe. 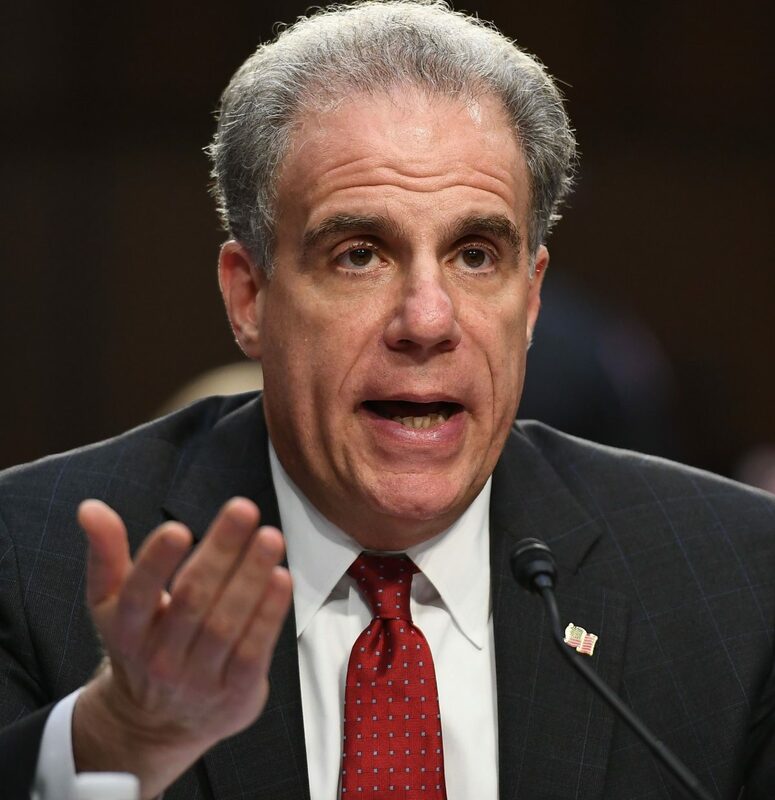 A report published by IG Horowitz in June 2018, which reviewed the FBI’s investigation of the Clinton email case, included the notable statement that several witnesses had informed the IG that Page “circumvented the official chain of command, and that Strzok communicated important Midyear case information to her, and thus to McCabe, without Priestap’s or Steinbach’s knowledge.” Steinbach, who was the executive assistant director and Priestap’s direct supervisor, left the FBI in early 2017. By the spring of 2016, the Clinton email investigation was already winding down. 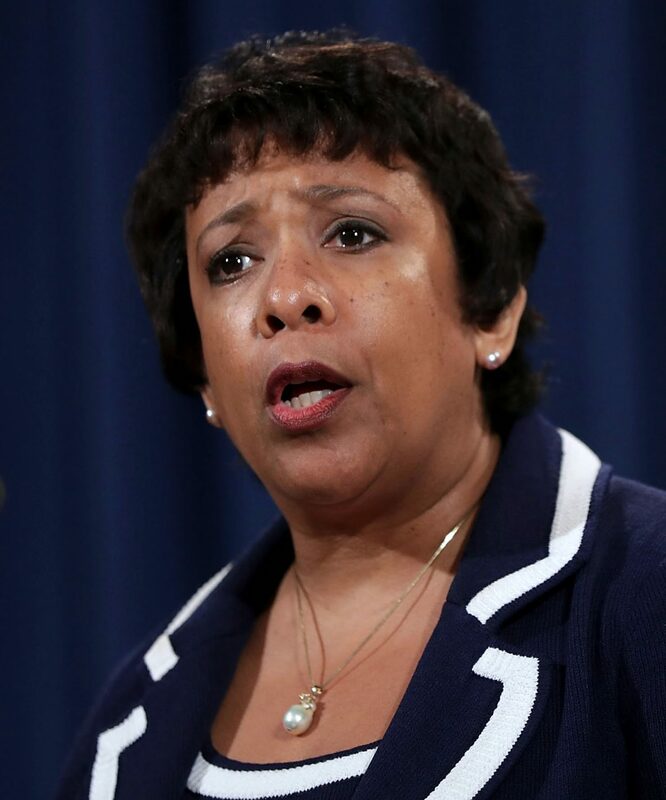 This was due in large part to the fact that the DOJ, under Attorney General Loretta Lynch, had decided to set an unusually high threshold for the prosecution of Clinton, effectively ensuring from the outset that she would not be charged. In order for Clinton to be prosecuted, the DOJ required the FBI to establish evidence of intent—even though the gross negligence statute explicitly does not require this. This meant that the FBI would have needed to find a smoking gun, such as an email or an admission made during FBI questioning, revealing that Clinton or her aides knowingly set up the private email server to send classified information. “Everybody talks about this as if this was the FBI investigation, and the truth of the matter is there was not a single step, other than the July 5th statement, there was not a single investigative step that we did not do in consultation with or at the direction of the Justice Department,” Page told congressional investigators on July 13, 2018. Notably, Comey had been convinced to remove the term “gross negligence” to describe Clinton’s actions from his prepared statement by, among others, Page, Strzok, Anderson, and Moffa. In late 2015, Britain’s Government Communications Headquarters (GCHQ) was involved in collecting information regarding then-candidate Trump and transmitting it to the United States. The GCHQ is the UK equivalent of the U.S. National Security Agency (NSA). While GCHQ was gathering intelligence, low-level Trump campaign foreign-policy adviser George Papadopoulos appears to have been targeted, after a series of highly coincidental meetings. Most of these meetings with Papadopoulos—whose own background and reasons for joining the Trump campaign remain suspicious—occurred in the first half of 2016. Maltese professor Josef Mifsud, Australian diplomat Alexander Downer, FBI informant Stefan Halper, and officials from the UK’s Foreign and Commonwealth Office (FCO) all crossed paths with Papadopoulos—some repeatedly so. Mifsud, who introduced Papadopoulos to a series of Russian contacts, appears to have more connections with Western intelligence than with Russian intelligence. 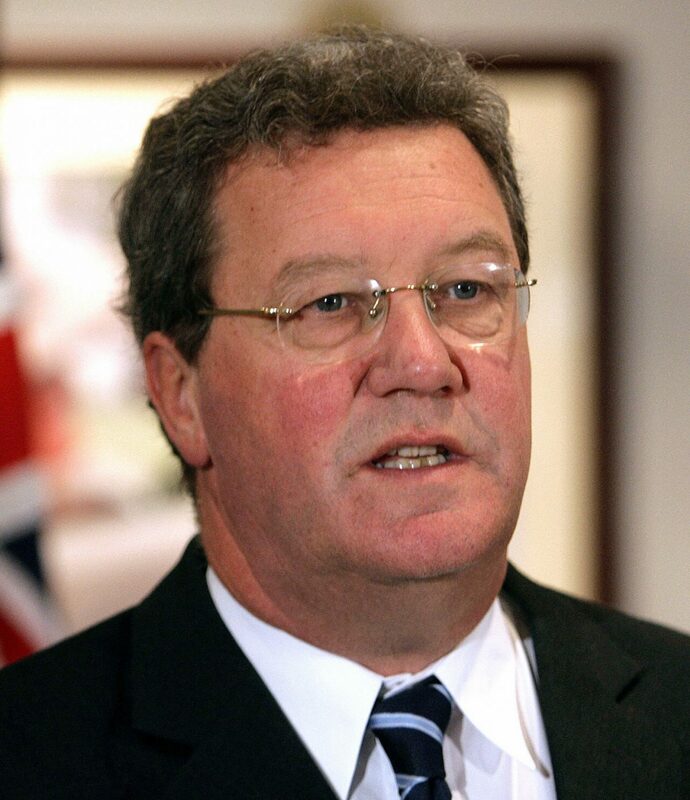 Downer, then Australia’s high commissioner to the UK, met with Papadopoulos in May 2016, in a meeting established through a chain of two intermediaries. Information allegedly relayed by Papadopoulos during the Downer meeting—that the Russians had damaging information on Clinton—appears nearly identical to claims later contained in the first memo from former MI6 spy and dossier author Christopher Steele that the FBI obtained in early July 2016. Downer’s conversation with Papadopoulos was reportedly disclosed to the FBI on July 22, 2016, through Australian government channels, although it may have come directly from Downer himself. Details from the conversation between Downer and Papadopoulos were then used by the FBI to open its counterintelligence investigation on July 31, 2016. In the summer of 2016, Robert Hannigan, the head of the UK’s GCHQ, traveled to Washington to meet with Brennan regarding alleged communications between the Trump campaign and Moscow. Around the same time, Brennan formed an inter-agency task force comprising an estimated six agencies and/or government departments. The FBI, Treasury, and DOJ handled the domestic inquiry into Trump and possible Russia connections. The CIA, Office of the Director of National Intelligence, and the NSA handled foreign and intelligence aspects. During this time, Brennan appeared to have employed the use of reverse targeting, which refers to the targeting of a foreign individual with the intent of capturing data on a U.S. citizen. As this foreign intelligence—unofficial in nature and outside of any traditional channels—was gathered, Brennan began a process of feeding his gathered intelligence to the FBI. Repeated transfers of foreign intelligence from the CIA director pushed the FBI toward the establishment of a formal counterintelligence investigation. The last major segment of Brennan’s efforts involved a series of three reports. The first, titled the “Joint Statement from the Department Of Homeland Security and Office of the Director of National Intelligence on Election Security,” was released on Oct. 7, 2016. The second report, “GRIZZLY STEPPE —Russian Malicious Cyber Activity,” was released on Dec. 29, 2016. The third report, “Assessing Russian Activities and Intentions in Recent U.S. Elections”—also known as the intelligence community assessment (ICA)—was released on Jan. 6, 2017. 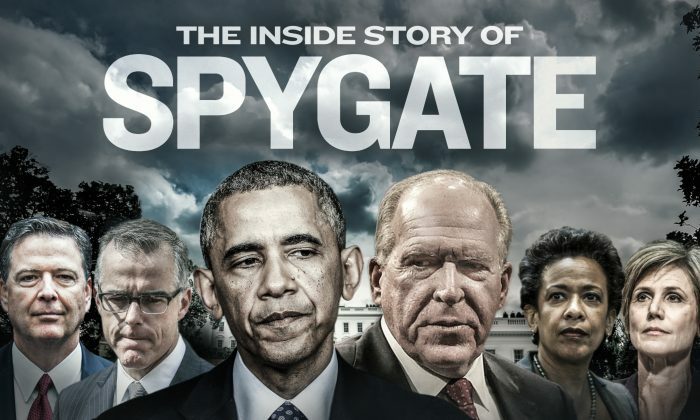 This final report was used to continue pushing the Russia-collusion narrative following the election of President Donald Trump. 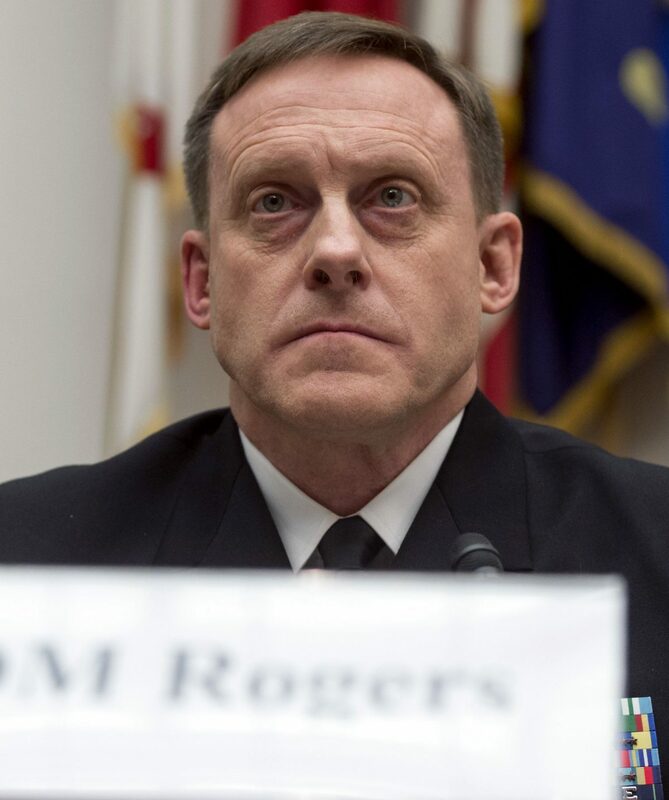 Notably, Adm. Mike Rogers of the NSA publicly dissented from the findings of the ICA, assigning it only a moderate confidence level. Meanwhile, another less official effort began. 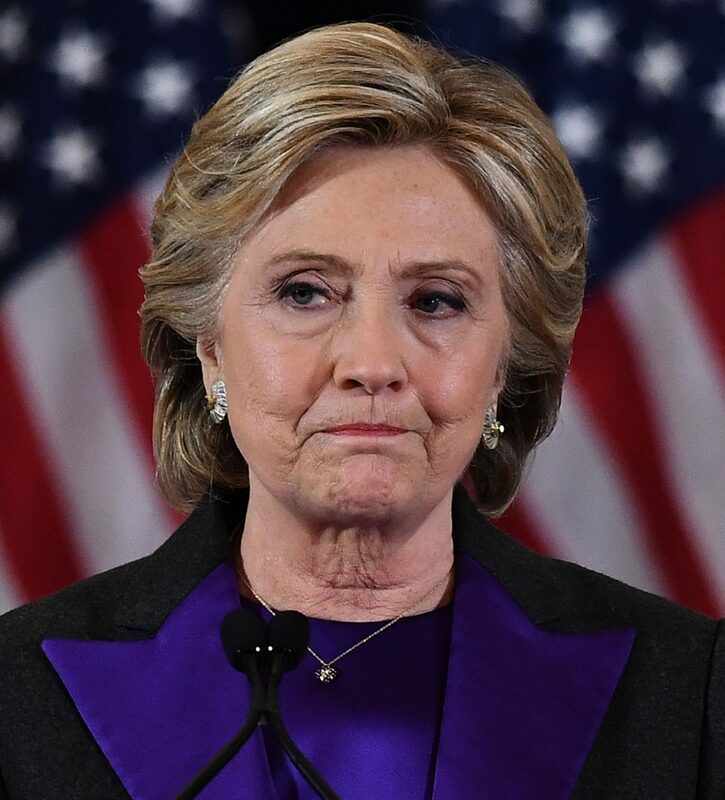 Information paid for by the Democratic National Committee (DNC) and the Clinton campaign targeting Trump made its way to the highest levels of the FBI and the State Department, with a sophisticated strategy relying on the personal connections of hired operatives. At the center of the multi-pronged strategy to disseminate the information were Fusion GPS co-founder Glenn Simpson and former British spy Steele. Steele’s firm, Orbis Business Intelligence, was retained by Fusion GPS during the period between June and November 2016. During this time, Steele produced 16 memos, with the last memo dated Oct. 20, 2016. There is one final memo that Steele wrote on Dec. 13 at the request of Sen. John McCain (R-Ariz.). Steele provided Fusion GPS with something that Simpson’s firm was lacking: access to individuals within the FBI and the State Department. These contacts could be traced back to at least 2010, when Steele had provided assistance in the FBI’s investigation into FIFA over concerns that Russia might have been engaging in bribery to host the 2018 World Cup. Sometime in the latter half of 2014, Steele began to informally provide reports he had prepared for a private client to the State Department. 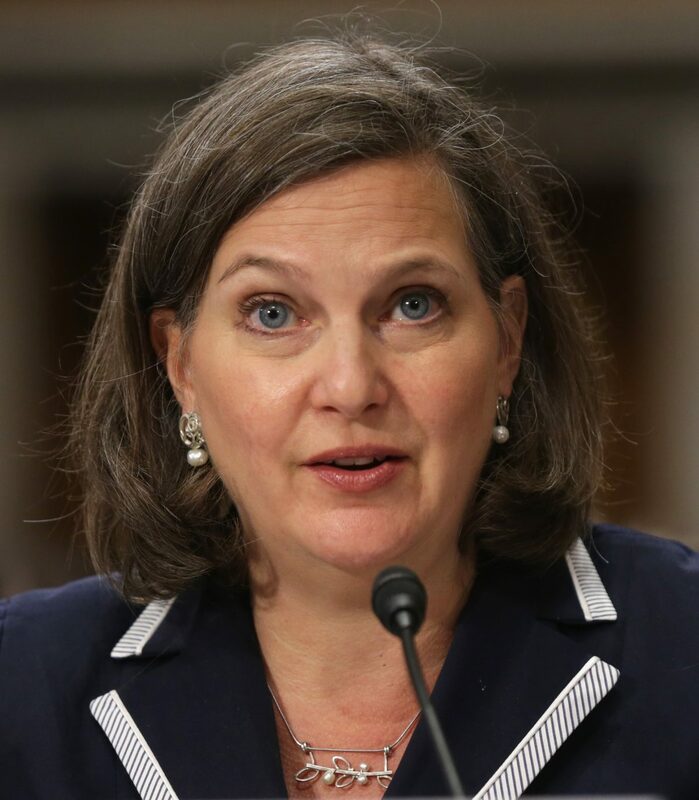 One of the recipients of the reports was Victoria Nuland, the assistant secretary of state for European and Eurasian affairs. After Steele’s company was hired by Fusion GPS in June 2016, he began to reach out to the FBI through Michael Gaeta, an FBI agent and assistant legal attaché at the U.S. Embassy in Rome who Steele had worked with on the FIFA case. Gaeta also headed up the FBI’s Eurasian Organized Crime unit, which specializes in investigating criminal groups from Georgia, Russia, and Ukraine. 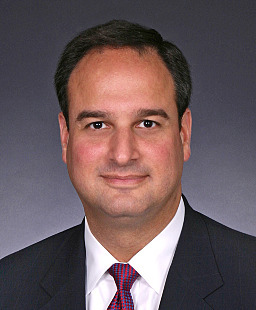 Gaeta was later identified as Steele’s FBI handler, in a July 16, 2018, congressional testimony before the House Judiciary and Oversight committees by Page. On July 5, 2016, Gaeta traveled to London and met with Steele at the offices of Steele’s firm, Orbis. At some point in early July, Steele passed his initial report to Nuland and the State Department. Nuland later said these documents were passed on at some point to both the FBI and then-Secretary of State John Kerry. Exactly what happened with the reports that Gaeta brought back from London, and precisely who he gave them to within the FBI, remains unknown, although some media reports have indicated they might have been sent to the FBI’s New York Field Office. During the period following Steele’s initial contact with the FBI, there appears to have been no further FBI interaction or contact with Steele. Notably, eight months before Fusion GPS hired Christopher Steele, Simpson had hired Nellie Ohr, the wife of then-Associate Deputy Attorney General Bruce Ohr, to work for his firm as a researcher in October 2015. It was at this time that Fusion GPS was retained by the Washington Free Beacon to engage in research on the Trump campaign. Prior to joining Fusion GPS, Nellie had worked as an independent contractor for an internal open-source division of the CIA, Open Source Works, from 2008 to at least June 2010; it appears likely she remained in that role into 2014. Nellie told congressional investigators, in her Oct. 19, 2018, closed-door testimony, that part of her work for Fusion GPS was to research the Trump 2016 presidential campaign, including campaign associate Carter Page, early campaign supporter Lt. Gen. Michael Flynn, and campaign manager Paul Manafort, as well as Trump’s family members, including some of his children. Additionally, email communications between her and Bruce Ohr show that she routinely sent her husband at the DOJ articles on Russia—most carrying a similar negative slant. The emails continued through the duration of Nellie’s employment with Fusion GPS and usually contained a brief, often one-line comment from Nellie. The work Nellie conducted for Fusion GPS matches the same skill set used when she worked for Open Source Works, which is a division within the CIA that uses open-source information to produce intelligence products. When asked how she came to be hired by Fusion GPS and who had approached her, Nellie responded, “Nobody approached me,” telling investigators that it was she who had initiated contact and approached Fusion GPS after reading an article on Simpson. Nellie would continue to work for Fusion GPS until September 2016. By this time, Simpson and Steele already had started working on pushing the Steele dossier into the FBI. Following the end of her employment with Fusion GPS, Nellie provided Bruce with a memory stick that contained all of the research she had compiled during her time at the firm. Bruce then gave the memory stick to the FBI, through his handler, Joe Pientka. Nearly a month after Gaeta brought back the reports that Steele provided in London, Simpson and Steele decided to pursue a new channel into the FBI through Bruce Ohr. Bruce had known Steele since at least 2007, when they met during an “official meeting” while Steele was still employed by the British government as an MI6 agent. Steele had already been in contact with Bruce via email in early 2016. Notably, most of these prior communications appeared to discuss Russian oligarch Oleg Deripaska and his ongoing efforts to obtain a U.S. visa. On July 29, 2016, Steele wrote to Bruce, saying that he would “be in DC at short notice on business,” and asked to meet with both Bruce and his wife. On July 30, 2016, the Ohrs met Steele for breakfast at the Mayflower Hotel. Also present at the breakfast meeting was a fourth individual, described by Bruce as “an associate of Mr. Steele’s, another gentleman, younger fellow. I didn’t catch his name.” Nellie testified that Steele’s associate had a British accent. The timing of the July 30 breakfast meeting is of particular note, as the FBI’s counterintelligence investigation, “Crossfire Hurricane,” was formally opened the following day, on July 31, 2016, by FBI agent Peter Strzok. Steele also referenced Deripaska’s business dealings with Trump campaign chairman Paul Manafort and foreign policy adviser Carter Page’s meetings in Moscow. Lastly, Bruce noted that Steele told him he had been in contact with the FBI but now had additional reports. “Chris Steele had provided some reports to the FBI, I think two, but that Glenn Simpson had more,” he said. Immediately following the Ohrs’ breakfast meeting with Steele, Bruce Ohr reached out to FBI Deputy Director McCabe and the two met in McCabe’s office—sometime between July 30 and the first days of August. Also present at this meeting was FBI lawyer Page, who had previously worked for Bruce Ohr at the DOJ, where he was her direct supervisor for five to six years. 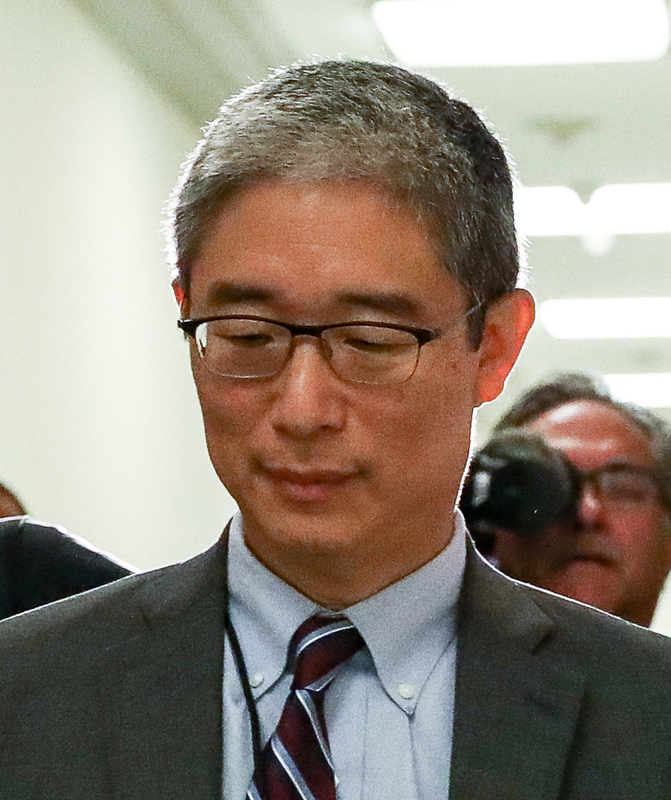 Bruce Ohr would later testify that during the July/August meeting, he told McCabe that his wife, Nellie, worked for Fusion, noting, “I wanted the FBI to be aware of any possible bias.” FBI General Counsel Baker, who reviewed a portion of the Foreign Intelligence Surveillance Act (FISA) application to spy on Trump campaign adviser Carter Page—which relied in part on the information from Steele—told congressional investigators that he was never told of Ohr’s concerns regarding possible bias and conflicts of interest. It was at this meeting that Simpson first mentioned Belarusan-American businessman Sergei Millian and former Trump attorney Michael Cohen. During this same period in late August 2016, Brennan began briefing members of the Gang of Eight on the FBI’s counterintelligence investigation, through a series of meetings in August and September 2016. Notably, each Gang of Eight member was briefed separately, calling into question whether each of the members received the same information. Efforts by Democrats to block the release of transcripts from each meeting are ongoing. 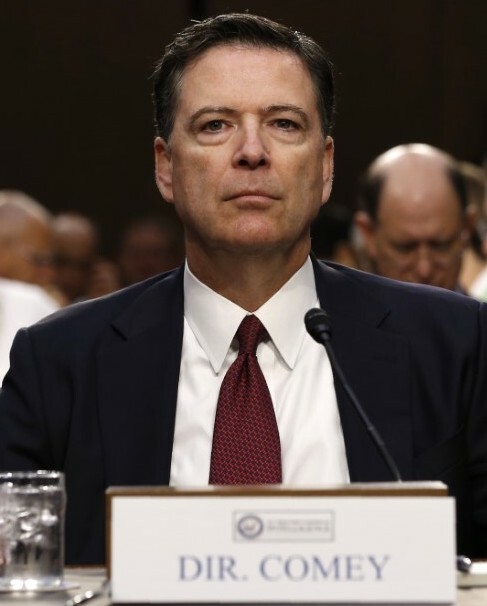 Comey, however, did not notify Congress of the FBI investigation until early March 2017, and it’s entirely possible he was unaware of Brennan’s private briefings during the summer of 2016. During her testimony, FBI lawyer Lisa Page was questioned by Rep. Mark Meadows (R-N.C.) in relation to an Aug. 25, 2016, text message that read, “What are you doing after the CH brief?” CH almost certainly referred to Crossfire Hurricane. “My initial meeting was with Mr. McCabe and with Lisa Page. Meanwhile, Brennan’s briefing prompted Reid to write not one but two letters to Comey. Both demanded that Comey commence an investigation, with the details to be made public. Reid’s first letter, which touched on Carter Page, was sent on Aug. 27, 2016. Reid’s second letter, far angrier and declaring Comey to be in possession of material information, was sent on Oct. 30, 2016. 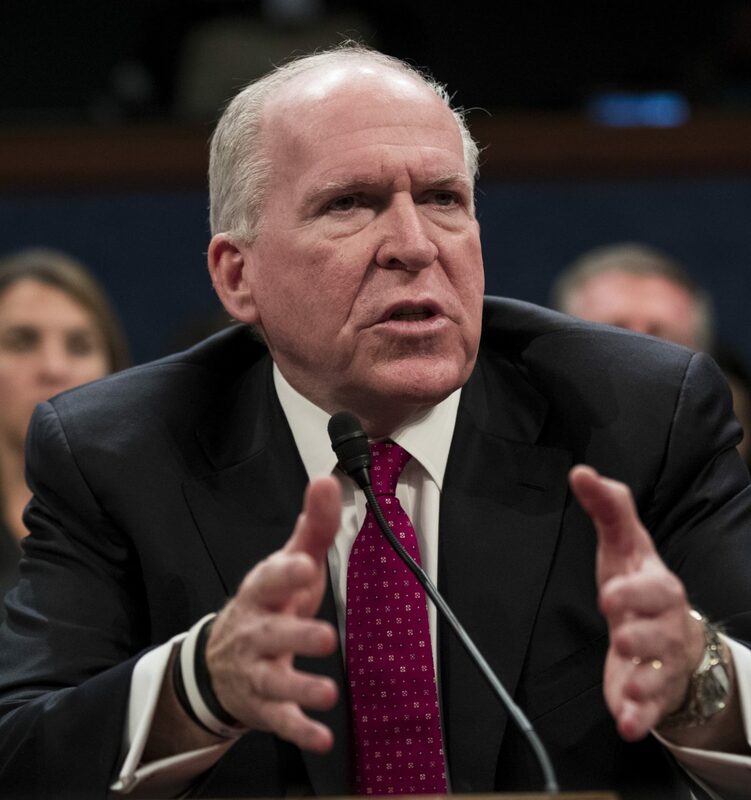 There had been reports that Comey had been considering closing the FBI investigation of Trump, something Brennan strongly opposed. Now, with Reid’s letters sent, that avenue was effectively closed. 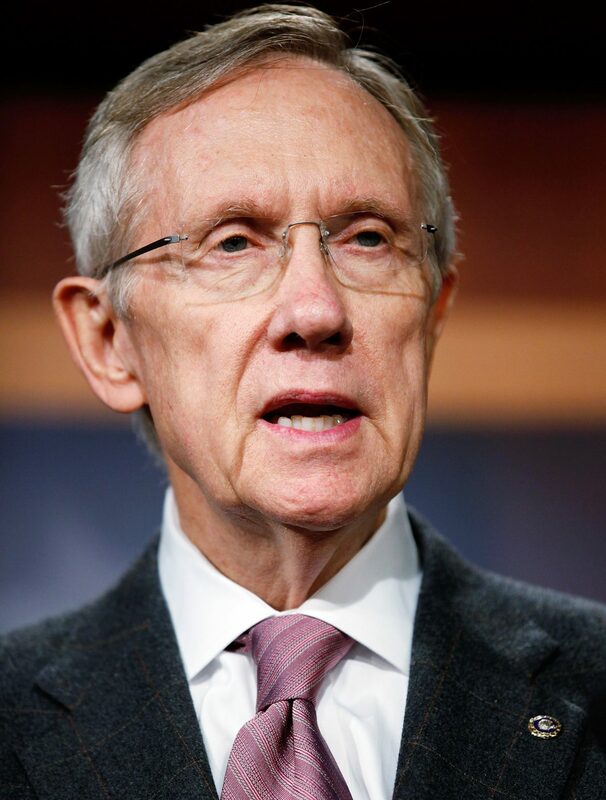 The termination of the FBI’s Trump–Russia investigation would be all but impossible in the face of Reid’s public demands. Perhaps it was in response to Reid’s Aug. 27 letter that the FBI suddenly reached out to Steele in September 2016, asking him for all the information in his possession. The team working on Crossfire Hurricane received documents and a briefing from Steele in mid-September, reportedly at a meeting in Rome, where Gaeta also was present. Steele had produced eight reports from June 20, 2016, through the end of August 2016 (there also is one undated report included in the dossier). No further reports were generated by Steele until Sept. 14, when he suddenly wrote three separate memos in one day. One of the memos referenced a Russian bank named Alfa Bank, misspelled as “Alpha” in his memo. Steele’s sudden burst of productivity was likely done in preparation for his Oct. 19 meeting in Rome with the FBI. “Through the so-called Gang-of-Eight process we kept Congress apprised of these issues as we identified them. Again, in consultation with the White House, I personally briefed the full details of our understanding of Russian attempts to interfere in the election to congressional leadership. As the dossier was making its way into the FBI, the agency began its preparations to obtain a FISA warrant on Trump campaign adviser Carter Page, who was surveilled under Title I of the Foreign Intelligence Surveillance Act. Carter Page attended the event just four days after his July 2016 Moscow trip, and it was during this time in the UK that he first encountered Stefan Halper. Page’s Moscow trip would later figure prominently in the Steele dossier. Halper, who has been outed as an FBI informant, stayed in contact with Carter Page for the next 14 months, severing ties exactly as the final FISA warrant on Page expired. 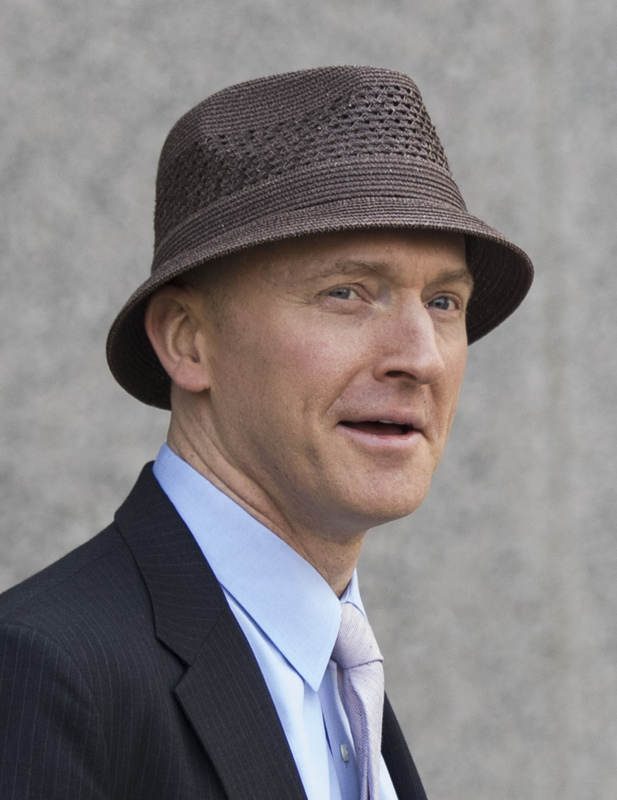 Trisha Anderson, the principal deputy general counsel for the FBI and head of the bureau’s National Security and Cyber Law Branch, approved the application for a warrant to spy on Carter Page before it went to FBI Director James Comey. According to Anderson, pre-approvals for the Carter Page FISA warrant were provided by both McCabe and Deputy Attorney General Sally Yates, before the FISA application was ever presented to Anderson for review. “[M]y boss and my boss’ boss had already reviewed and approved this application. And, in fact, the Deputy Attorney General, who had the authority to sign the application, to be the substantive approver on the FISA application itself, had approved the application. And that typically would not have been the case before I did that,” said Anderson. The unusual preliminary reviews and approvals from both McCabe and Yates appear to have had a substantial impact on the normal review process, leading other individuals like Anderson to believe that the warrant application was more vetted than it really was. Anderson also testified that she had not read the Carter Page FISA application prior to signing off on it and passing it along to Comey for the final FBI signature. According to FBI lawyer Sally Moyer, the underlying Woods file (a document that provides facts supporting the allegations made in a FISA application) was only read by the originating agent and the supervisory special agent in the field. Moyer also noted that the Woods file relating to the Page FISA had not been reviewed or audited by anyone. The Carter Page FISA application was largely reliant on the Steele dossier, which was unverified at the time of its submission to the FISA court and remains unverified by the FBI to this day. Circular reporting, provided by Steele himself, was used as corroboration of the dossier. 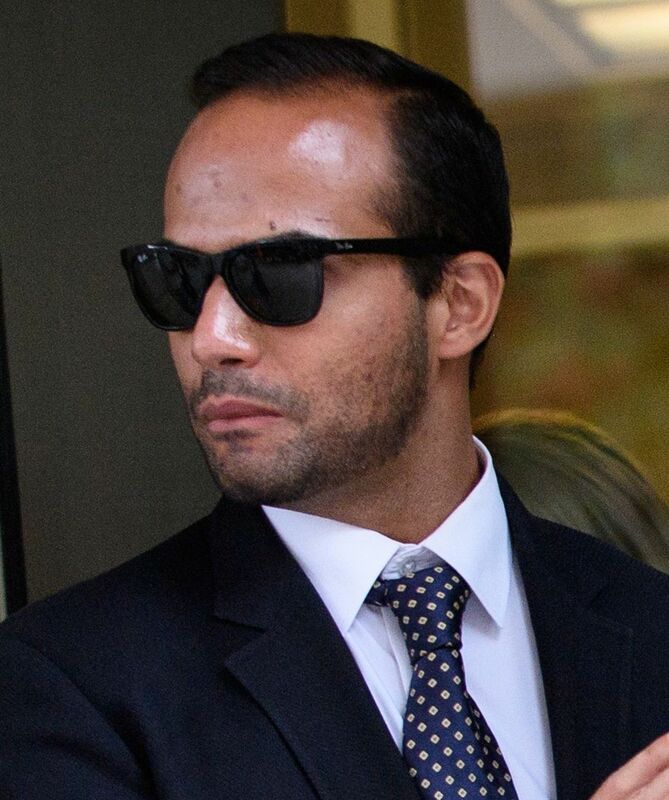 Additionally, Trump campaign adviser George Papadopoulos, whose conversation with Australian diplomat Alexander Downer was used to open the FBI’s July 31, 2016, counterintelligence investigation, is referenced in the FISA, yet there “is no evidence of any cooperation or conspiracy between Page and Papadopoulos,” according to a House Intelligence Committee memo. Moyer testified that without the Steele dossier, the Carter Page application would have had a “50/50” chance of achieving the probable cause standard before the FISA court. Notably, the Steele dossier is generally considered to have been largely discredited. On Sept. 19, shortly after Steele completed his latest three memos, FBI General Counsel James Baker met with Perkins Coie partner Michael Sussmann, the lawyer the DNC turned to on April 28, 2016, after discovering the alleged hacking of their servers. Baker was describing alleged communications between Alfa Bank and a server in the Trump Tower. The allegations, which were investigated by the FBI and proven to be false, were widely covered in the media. Just four days earlier, on Sept. 14, Steele mentioned Alfa Bank (misspelled as Alpha bank) in one of his memos. According to Baker’s testimony, there appears to have been at least three meetings with Sussmann—the first in person and at least two subsequent meetings by phone. In either the second or third conversation, Baker came to understand The New York Times was also in possession of Sussmann’s information. As would become clear later, other members of the media also had this same information. As Baker was meeting with Sussmann, Steele was back in Washington for a series of meetings that included his DOJ contact, Bruce Ohr. On Sept. 23, 2016, Bruce Ohr again met with Steele for breakfast, telling lawmakers during testimony, “Steele was in Washington, D.C., again, and he reached out to me, and, again, we met for breakfast, and he provided some additional information.” Ohr said this meeting concerned similar topics that were discussed at the July 30, 2016, meeting but did not provide further details. Bruce Ohr would also meet either that same month or in early October with FBI agent Peter Strzok, FBI lawyer Lisa Page, and DOJ career officials from the criminal division, Bruce Swartz, Zainab Ahmad, and Andrew Weissman (Ohr testified that he was unsure whether Weismann was at this or a later meeting). Both Weissman and Ahmad would later become part of the team assembled by special counsel Robert Mueller. On the same day that Bruce Ohr met with Christopher Steele for breakfast, on Sept. 23, 2016, Yahoo News reporter Michael Isikoff published an article about Trump campaign foreign policy adviser Carter Page. The article, headlined “U.S. Intel Officials Probe Ties Between Trump Adviser and Kremlin,” was based on an interview with Steele. Isikoff’s article would later be used by the FBI in the FISA spy warrant application on Carter Page as corroborating information. Following the publication of the Isikoff article, the Hillary for America campaign released a statement on the same day that touted Isikoff’s “bombshell report,” with the full article attached. It was probably during this same trip to Washington that Steele met with Jonathan Winer, a former deputy assistant secretary of state for international law enforcement and former special envoy for Libya, whom Steele had known since at least 2010. Winer had received a separate dossier, very similar to Steele’s, from longtime Clinton confidant Sidney Blumenthal. This “second dossier” had been compiled by another longtime Clinton operative, former journalist Cody Shearer, and echoed claims made in the Steele dossier. Winer gave Steele a copy of the “second dossier.” Steele then shared this second dossier with the FBI, which may have used it as a means to corroborate Steele’s own dossier. Former FBI General Counsel James Baker. 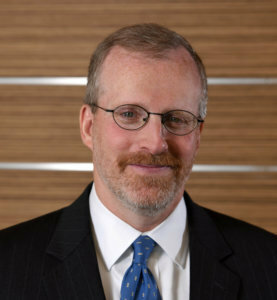 As Steele’s media meetings were going on, FBI General Counsel James Baker learned that Perkins Coie partner Michael Sussmann was also speaking with reporters from The New York Times regarding the Alfa Bank information that Sussmann had provided to the FBI. After some internal discussion, the FBI approached both Sussmann and The New York Times, asking that any story be held until the FBI had time to complete an investigation into the documents provided by Sussmann. It appears that an agreement was reached, and the FBI began to look into the claims regarding Alfa Bank and the server at Trump Tower. But Sussman wasn’t the only one that Baker, currently the subject of an ongoing criminal leak investigation, was speaking with. According to congressional investigators, beginning sometime in September 2016—before the presidential election—Baker began having conversations with his old friend and journalist, David Corn of Mother Jones. By Oct. 31, 2016, the FBI had apparently wrapped up their investigation into the Alfa Bank allegations, finding no evidence of anything untoward in the process. It was on this day that three separate articles on Alfa Bank would be published. The second article, “Was a Trump Server Communicating With Russia?” by Slate Magazine, was solely focused on the allegations regarding a server in the Trump Tower that had allegedly been communicating with a server at Alfa Bank in Russia. “This could be the most direct link yet between Donald Trump and Moscow. Computer scientists have apparently uncovered a covert server linking the Trump Organization to a Russian-based bank. The Alfa Bank story took off—despite the same-day story from The New York Times that specifically noted the FBI had investigated that matter and found nothing untoward. Steele had written four memos after the FBI team received his information in mid-September. All of the memos were written in October—on the 12th, 18th, 19th, and the 20th. It is possible that these were the memos passed along to Baker by Corn. Baker testified that he received elements of the dossier from Corn that were not in the FBI’s possession at the time. He said that he immediately turned this information over to leadership within the FBI, noting, “I think it was Bill Priestap,” the head of the FBI’s Counterintelligence Division. Christopher Steele was terminated as a source by the FBI on Nov. 1, 2016, for communicating with the media. Despite this, DOJ official Bruce Ohr and Steele communicated regularly for another full year, until November 2017. On Nov. 21, 2016, Ohr had a meeting with FBI agent Peter Strzok and FBI lawyer Lisa Page, and was introduced to FBI agent Joe Pientka, who became Ohr’s FBI handler. Pientka was also present with Strzok during the Jan. 24, 2017, interview of Trump’s national security adviser, Lt. Gen. Michael Flynn. The next day, Nov. 22, 2016, Ohr met alone with Pientka. Ohr would continue to relay his communications with Steele to the FBI through Pientka, who then recorded them in FD-302 forms. What Ohr didn’t know was that Pientka was transmitting all the information directly to Strzok. Sometime in late 2016, his wife, Nellie Ohr, provided him with a memory stick containing all of her research that she had compiled while employed at Fusion GPS. Bruce Ohr testified he gave the memory stick to Pientka. 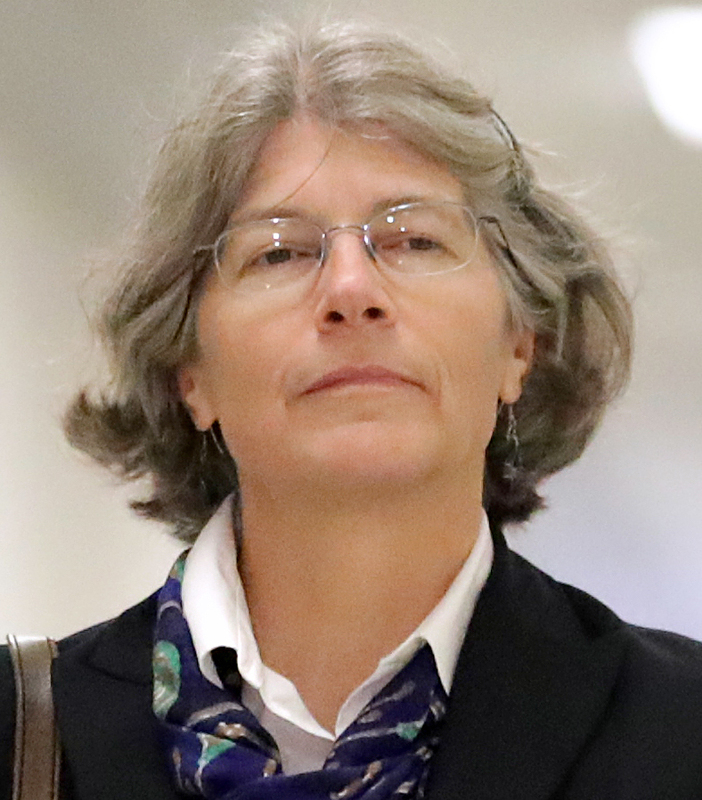 Nellie Ohr had left Fusion in September 2016. Through Pientka, Strzok now had all of Nellie Ohr’s Fusion research in his possession. On Dec. 10, 2016, Bruce Ohr met with Simpson, who gave him a memory stick that Ohr believed contained a copy of the Steele dossier. Ohr also passed this second memory stick along to Pientka. Apparently, Simpson’s information was at least partly accurate. On Jan. 24, 2017, The Wall Street Journal reported that Sergei Millian, a Belarusan-American businessman and onetime Russian government translator, was both “Source D” and “Source E” in the dossier. It remains unknown exactly how Simpson knew in advance that Millian would be outed as a source. But there are some questions as to the accuracy of the Journal’s reporting. The dossier appears to conflict with the newspaper’s article in at least one aspect. According to the dossier, Source E was used as confirmation for Source D—meaning they can’t be the same person. Simpson and Steele were carefully thorough in their dissemination efforts. The dossier was fed into U.S. channels through several different sources. One such source was Sir Andrew Wood, the former British ambassador to Russia, who had been briefed about the dossier by Steele. Wood may have previously worked on behalf of Steele’s company, Orbis Business Intelligence; he was referenced in a UK court filing as an associate of Orbis. Wood was also referred to as an adviser to Orbis in a deposition by an associate of late Sen. John McCain (R-Ariz.), David Kramer. McCain, Wood, and Kramer would meet later that afternoon, on Nov. 19, 2016, in a private meeting room at the Halifax International Security Forum in Nova Scotia, Canada. Wood told both Kramer and McCain that “he was aware of this information that had been gathered that raised the possibility of collusion and compromising material on the president-elect. And he explained that he knew the person who gathered the information and felt that the person was of the utmost credibility,” Kramer said. No such video was ever uncovered or given to Kramer. Kramer traveled to London to meet with Steele on Nov. 28, 2016. Kramer reviewed all the memos during his meeting with Steele but wasn’t provided with a physical copy of the dossier. When Kramer returned to Washington, he was provided with a copy of the dossier—which, at that point, consisted of 16 memos—during a meeting with Simpson on Nov. 29, 2016. Kramer also testified that there was another individual, “a male,” present at the meeting. Despite that warning, Kramer showed the dossier to a number of journalists and had discussions with at least 14 members of the media, along with some individuals in the U.S. government. Kramer testified that he gave a physical copy of the dossier to reporters Peter Stone and Greg Gordon of McClatchy; to Fred Hiatt, the editor of the Washington Post editorial page; Alan Cullison of The Wall Street Journal; Bob Little at NPR; Carl Bernstein at CNN; and Ken Bensinger at BuzzFeed. It’s possible that Kramer gave copies to other reporters as well. According to Kramer, he didn’t believe that Fusion GPS and Simpson were aware of these two meetings with CNN and BuzzFeed. Kramer testified that he, McCain, and McCain’s chief of staff, Christopher Brose, met to review the dossier on Nov. 30, 2016. Kramer suggested that McCain “provide a copy of [the dossier] to the director of the FBI and the director of the CIA.” McCain later passed a copy of the dossier to James Comey on Dec. 9, 2016. 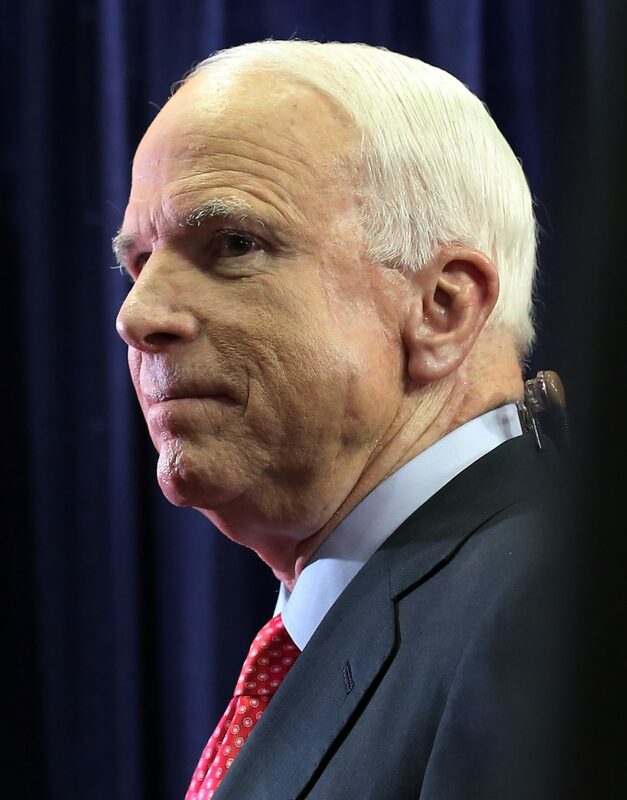 It isn’t known whether McCain also provided a copy to then-CIA Director John Brennan. 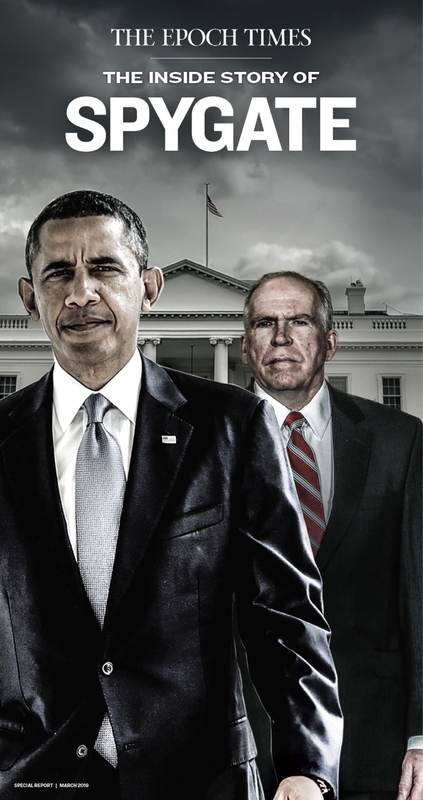 Notably, Brennan did attach a two-page summary of the dossier to the intelligence community assessment that he delivered to outgoing President Barack Obama on Jan. 5, 2017. The implications of this statement are significant. Kramer, a private citizen, was providing updates to a former British spy as to what a sitting senator, and chairman of the Senate Committee on Armed Services, was saying to the director of the FBI. 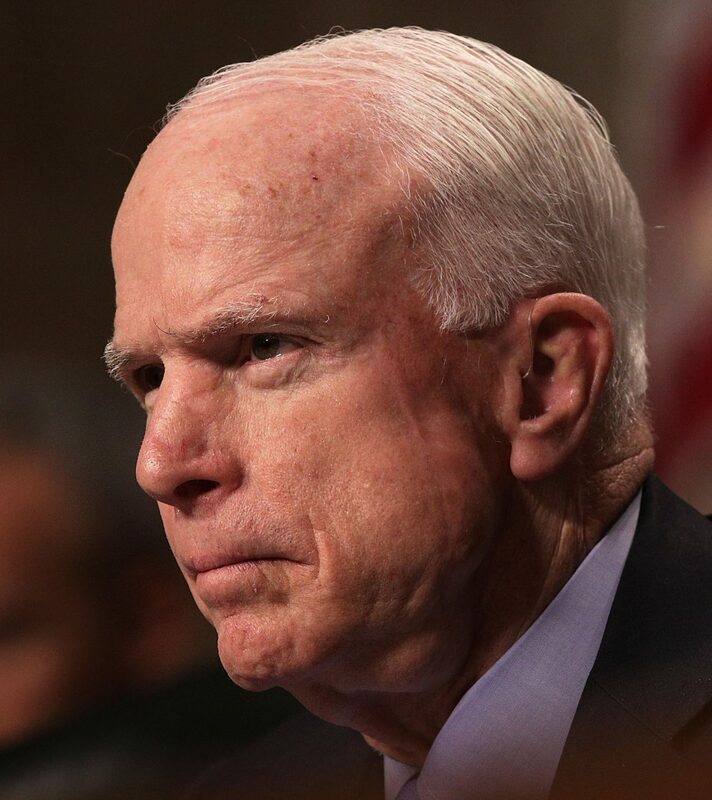 Several days after McCain, Brose, and Kramer met to discuss the dossier, Kramer said that McCain instructed him to meet with Victoria Nuland, the assistant secretary of state for Europe and Eurasian Affairs, and Celeste Wallander, the senior director for Russia and Central Asia on the National Security Council. Nuland had actually received a copy of the earlier Steele memos back in July 2016. Steele produced a final memo dated Dec. 13, 2016. According to UK court documents, Kramer, on behalf of McCain, had asked Steele to provide any further intelligence that he had gathered relating to “alleged Russian interference in the US presidential election.” Notably, it appears it was this request from McCain that led Steele to produce his Dec. 13 memo. Although Kramer didn’t provide a date, he said he received the final Steele memo sometime after “Senator McCain had provided the copy to Director Comey.” We know that Kramer received the final memo prior to Dec. 29—when Kramer met with BuzzFeed’s Bensinger. Kramer also testified that besides the reporters, he gave a final copy of the dossier to two other people in early January 2017: Rep. Adam Kinzinger (R-Il.) and House Speaker Paul Ryan’s chief of staff, Jonathan Burks. The ICA on alleged Russian hacking was released internally on Jan. 5, 2017. On this same day, outgoing president Obama held an undisclosed White House meeting to discuss the assessment—and the attached summation of the dossier—with national security adviser Susan Rice, FBI Director James Comey, and Deputy Attorney General Sally Yates. Rice would later send herself an email documenting the meeting. The following day, CIA Director John Brennan, Director of National Intelligence James Clapper, and Comey attached a written summary of the Steele dossier to the classified briefing they gave Obama. Comey then met with President-elect Trump to inform him of the dossier. This meeting took place just hours after Comey, Brennan, and Clapper formally briefed Obama on both the ICA and the Steele dossier. 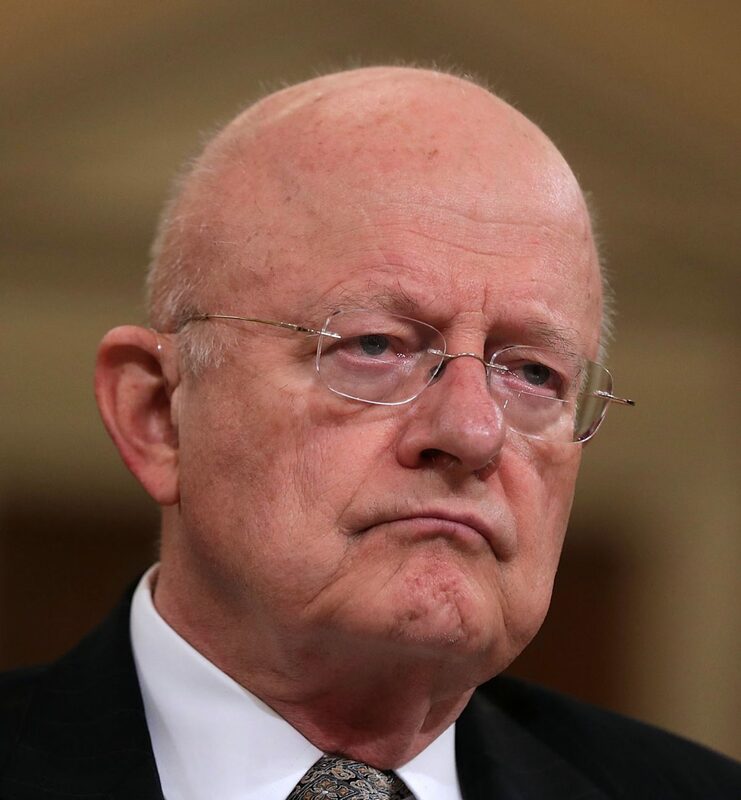 “When initially asked about leaks related to the ICA in July 2017, former DNI Clapper flatly denied ‘discuss[ing] the dossier [compiled by Steele] or any other intelligence related to Russia hacking of the 2016 election with journalists.’ Clapper subsequently acknowledged discussing the ‘dossier with CNN journalist Jake Tapper,’ and admitted that he might have spoken with other journalists about the same topic. The allegations within the dossier were made public, and with reporting of the briefings by intelligence community leaders, instant credibility was given to the dossier’s assertions. Immediately following the CNN story, BuzzFeed published the Steele dossier, and the Trump–Russia conspiracy was pushed into the mainstream. On the following day, Jan. 11, 2017, Clapper issued a statement condemning the leaks—without revealing the fact that he was the source of the leak. On Nov. 17, 2016, Clapper submitted his resignation as director of national intelligence; his resignation became effective on Jan. 20, 2017. Later that year, CNN hired Clapper as its national security analyst. 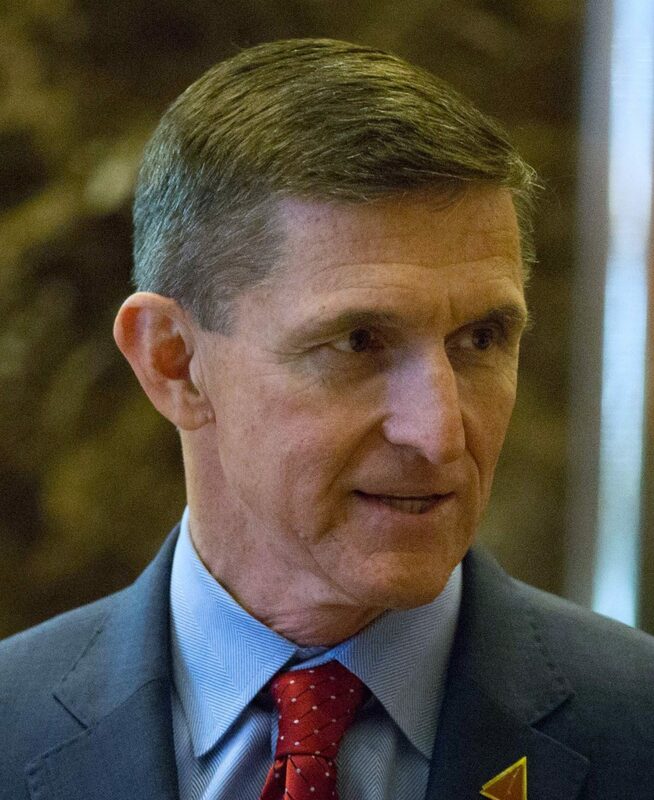 Lt. Gen. Michael Flynn, then-national security adviser to President Donald Trump, was interviewed on Jan. 24, 2017, by FBI agents Peter Strzok and Joe Pientka about two December 2016 conversations that Flynn had had with Russian Ambassador Sergei Kislyak. Details of the phone conversation had leaked to the media. Flynn ultimately pleaded guilty to one count of lying to the FBI regarding his conversations with Kislyak. It remains unknown to this day who leaked Flynn’s classified call—a far more serious felony violation. The Washington Post reported in January 2017 that the FBI had found no evidence of wrongdoing in Flynn’s actual call with the Russian ambassador. The call, and the matters discussed in it, broke no laws. Flynn has been portrayed in the media as being suspiciously close to Russia; a dinner in Moscow that occurred in late 2015 is frequently cited as evidence of this. On Dec. 10, 2015, Flynn attended an event in Moscow to celebrate the 10th anniversary of Russian television network RT. Flynn, who was seated next to Russian President Vladimir Putin for the culminating dinner, was also interviewed on national security matters by an RT correspondent. Flynn’s speaker’s bureau, Leading Authorities Inc., was paid $45,000 for the event and Flynn received $33,000 of the total amount. Seated at the same table with Flynn was Jill Stein, the Green Party candidate in the 2016 election. By all accounts, including Stein’s, Flynn and Putin didn’t engage in any real conversation. At the time, Flynn’s trip didn’t garner significant attention. But it would later be used by the media and the Clinton campaign to push the Russia-collusion narrative. Flynn’s trip to Russia was first brought to broader attention on July 18, 2016, during a live interview at the Republican National Convention with Yahoo News reporter Michael Isikoff. The Isikoff interview took place on July 18, 2016. Unknown at the time, the matter had also captured the attention of Christopher Steele, who had begun publishing his dossier memos on June 20, 2016. In addition to the obvious questions raised by the timing of Flynn’s name appearing in Steele’s Aug. 10 memo, is the manner in which Flynn is denoted. All other names are capitalized, in the manner of intelligence briefings. Flynn’s name isn’t capitalized and, in one case, appears within parentheses. Steele met with Yahoo News’ Isikoff in September 2016 and gave him information from the dossier. The resulting Sept. 23, 2016, article from Isikoff was then cited by the FBI as validating Steele’s claims and was featured in the original FISA application, and its three subsequent renewals, for a warrant to spy on Trump campaign foreign policy adviser Carter Page. Steele wasn’t the only person Isikoff was working with. On April 26, 2016, Isikoff published a story on Yahoo News about Paul Manafort’s business dealings with Russian oligarch Oleg Deripaska. It was later learned from a Democratic National Committee (DNC) email leaked by Wikileaks that Isikoff had been working with Alexandra Chalupa, a Ukrainian-American operative who was doing consulting work for the DNC. Chalupa met with top officials in the Ukrainian Embassy in Washington in an effort to expose alleged ties between Trump, Manafort, and Russia. The obvious question remains: How did the information on Flynn make its way into the dossier at the time it did, and who provided the information to Steele? Flynn’s 2015 dinner in Moscow was initially used to implicate the Trump campaign’s ties to Russia. It was then used as a means to cast doubts on Flynn’s ability as Trump’s national security adviser. Following Flynn’s resignation, it was then used as a means to pursue the ongoing collusion narrative that gained full strength in the early days of the Trump administration. Flynn would resign from his position as national security adviser in February 2017. The sequence of events leading to his resignation were both coordinated and orchestrated, with acting Attorney General Sally Yates playing a leading role. On Jan. 12, 2017, Flynn’s Dec. 29, 2016, call with Kislyak was leaked to The Washington Post. The article portrayed Flynn as undermining Obama’s Russia sanctions that had been imposed on the same day as Flynn’s call with the Russian ambassador. On Jan. 15, five days before Trump’s inauguration, Vice President Mike Pence appeared on “Face the Nation” to defend Flynn’s calls. A few days later, on Jan. 19, Obama officials—Yates, Clapper, Brennan and Comey—met to discuss Flynn’s situation. The concern they reportedly discussed was that Flynn might have misled Trump administration officials regarding the nature of his call with Kislyak. Yates, Clapper, and Brennan supported informing the Trump administration of their concerns. Comey took a dissenting view. On Jan 23, Yates again pressured Comey, telling the FBI director that she believed Flynn could be vulnerable to blackmail. At this point, according to media reports, Comey relented, despite the FBI finding nothing unlawful in the content of Flynn’s calls. Strzok and Pientka, at the instruction of McCabe, interviewed Flynn the following day. According to court documents, McCabe and other FBI officials “decided the agents would not warn Flynn that it was a crime to lie during an FBI interview because they wanted Flynn to be relaxed.” It was during this interview that Flynn reportedly lied to the FBI. The DOJ was provided with a detailed briefing of the Flynn interview on the following day. On Jan. 26, Yates contacted White House counsel Don McGahn, who agreed to meet to discuss the matter. Yates arrived at McGahn’s office, bringing Mary McCord, John Carlin’s acting replacement as head of the DOJ’s National Security Division. McGahn called Yates the following day and asked her to return for a second meeting. Yates returned to the White House without McCord. McGahn asked to examine the FBI’s evidence on Flynn. 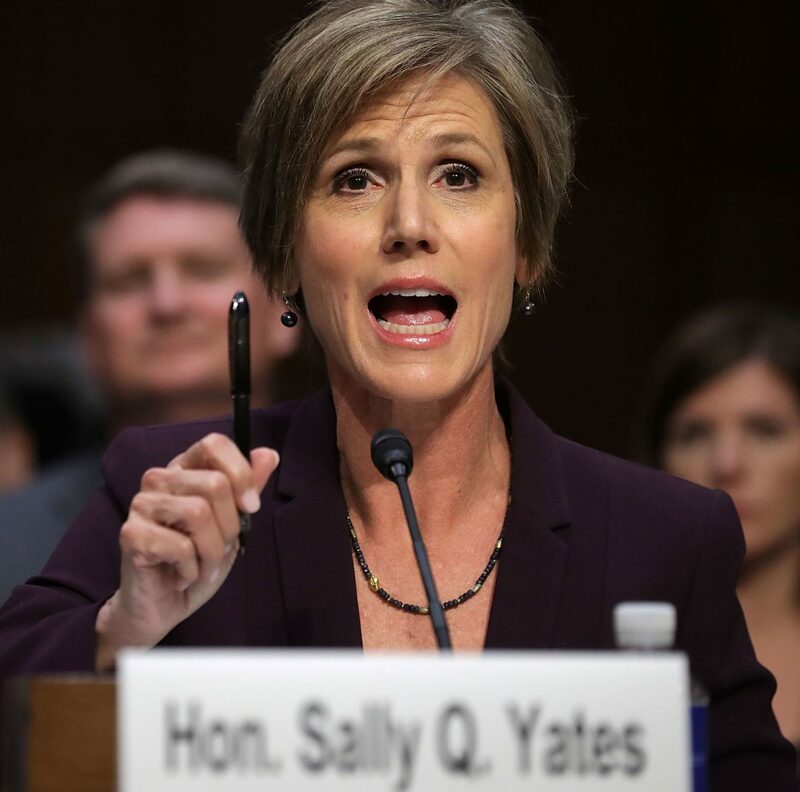 Yates said she would respond by the following Monday. Yates failed to provide McGahn with the FBI’s evidence on Flynn. From that point, the pressure on Flynn and the Trump administration escalated—with help from media reporting. Flynn resigned on Feb. 13, after it was reported that he had misled Pence about phone conversations he’d had with Kislyak. With Flynn gone and the Russian narrative firmly established, the conspirators then turned their attention to Trump’s newly confirmed attorney general, Jeff Sessions. On March 1, 2017, The Washington Post reported that Sessions had twice had contact with the Russian ambassador, Kislyak. The following day, March 2, Sessions recused himself from the Russia investigation. “From what I know right now, it looks like incidental collection. We don’t know exactly how that was picked up but we’re trying to get to the bottom of it…I think the NSA’s going to comply. I am concerned – we don’t know whether or not the FBI is going to comply. I have placed a call, I’m waiting to talk to Director Comey, hopefully later today. “I have seen intelligence reports that clearly show the President-elect and his team were at least monitored and disseminated out in intelligence, in what appears to be raw—well I shouldn’t say raw—but intelligence reporting channels. 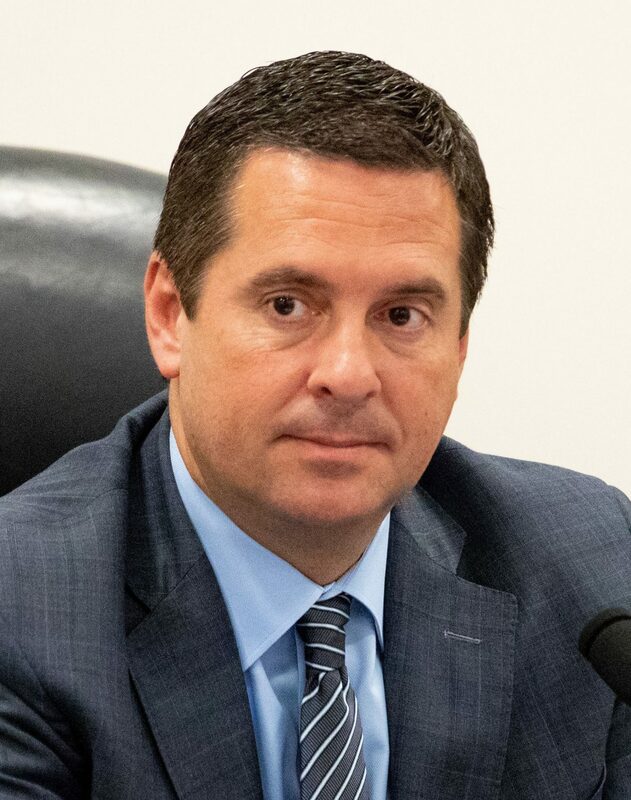 The documents Nunes had been shown highlighted the unmasking activities of the FBI, the Obama administration, and CIA Director Brennan in relation to the Trump campaign. Although March 2017 would prove chaotic, the Trump administration had survived the first crucial months, and would now begin to slowly assert its administrative authority. Less than a week later, on May 9, Trump fired Comey based on a May 8 recommendation by Deputy Attorney General Rod Rosenstein. Within days of Trump’s firing of Comey, the FBI, now under the leadership of acting-FBI Director Andrew McCabe, suddenly decided to reestablish direct contact with Christopher Steele through DOJ official Bruce Ohr. The re-engagement attempt came six months after Steele had been formally terminated by the FBI on Nov. 1, 2016. The texts being referenced were sent on May 15, 2017, and refer to a request that Ohr received from the FBI to ask Steele to re-engage with the FBI in the days after Comey had been fired on May 9. This was the only time the FBI used Ohr to reach out to Steele. Two days after Comey was fired, on May 11, 2017, McCabe testified before the Senate Intelligence Committee. While the hearing’s original intent had been to focus on national security threats, Trump’s firing of Comey completely altered the topic of the hearing. McCabe, who agreed that he would notify the committee “of any effort to interfere with the FBI’s ongoing investigation into links between Russia and the Trump campaign,” told members of Congress that there had been “no effort to impede our investigation to date.” In other words, McCabe testified that he was unaware of any evidence of obstruction from Trump or his administration. Notably, Comey’s May 3 testimony may have left McCabe with little choice other than to confirm there had been no obstruction. McCabe, however, failed to inform the committee that he was actively considering opening an obstruction-of-justice probe of Trump—a path he would initiate in a meeting with Rosenstein just five days later. On the morning of May 16, 2017, Rosenstein allegedly suggested to McCabe that he could secretly record Trump. It was at this meeting that McCabe was “pushing for the Justice Department to open an investigation into the president,” according to witness accounts reported by The Washington Post. 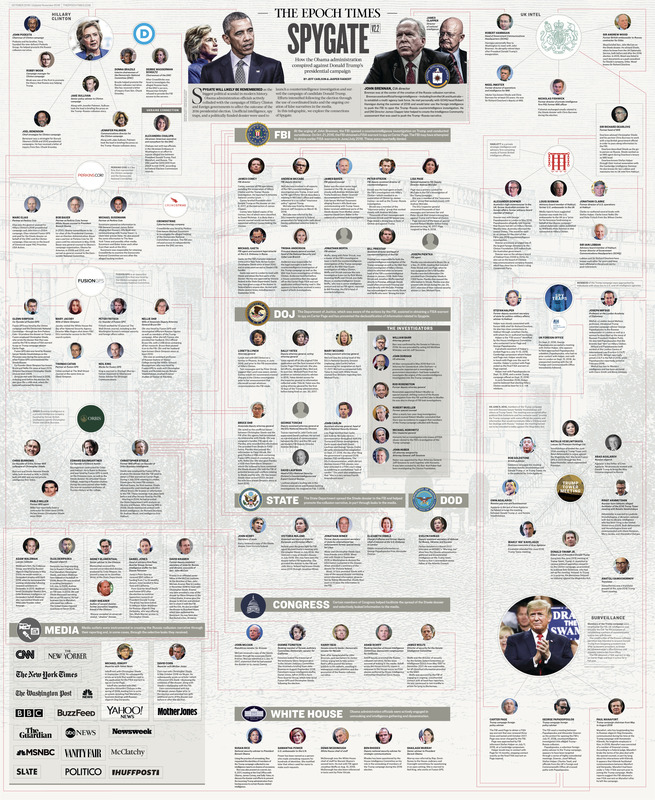 In addition to McCabe, Rosenstein, and McCabe’s special counsel, Lisa Page, there were one or two others present, including Rosenstein’s chief of staff, James Crowley, and possibly Scott Schools, the senior-most career attorney at the DOJ and a top aide to Rosenstein. This was just five days after McCabe had publicly testified that there was no obstruction on the part of the Trump administration. Sometime later that same day, both Rosenstein and Trump met with former FBI Director Robert Mueller in the Oval Office. The meeting was reported as being for the FBI director position, but the idea that Mueller would be considered for the FBI director role seems highly unlikely. Mueller had previously served as the FBI director from 2001 to 2013—two years beyond the normal 10-year tenure for an FBI director. In 2011, Obama requested that Mueller stay on as FBI director for an additional two years, which required special congressional approval. 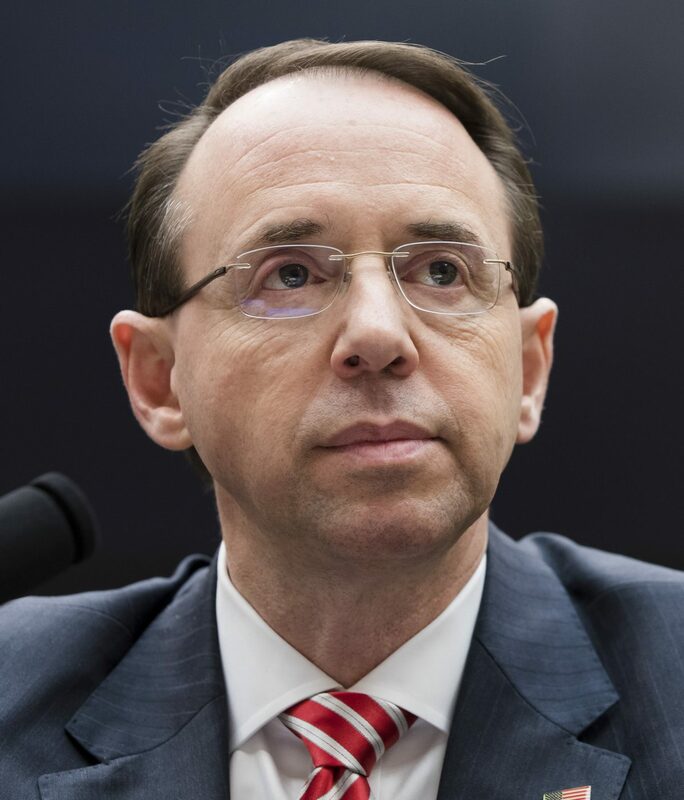 Rosenstein appointed Mueller as special counsel the following day, on May 17, 2017, and in doing so, Rosenstein removed control of the Trump–Russia investigation from McCabe and put it in the hands of Mueller. Following the appointment of Mueller as special counsel, it also appears the FBI’s efforts to re-engage with Steele abruptly ended. The FBI, with no actual evidence of collusion after 10 months of investigating, began discussing a complete hypothetical at the highest levels of leadership as a means to possibly open an obstruction-of-justice investigation of the president of the United States. 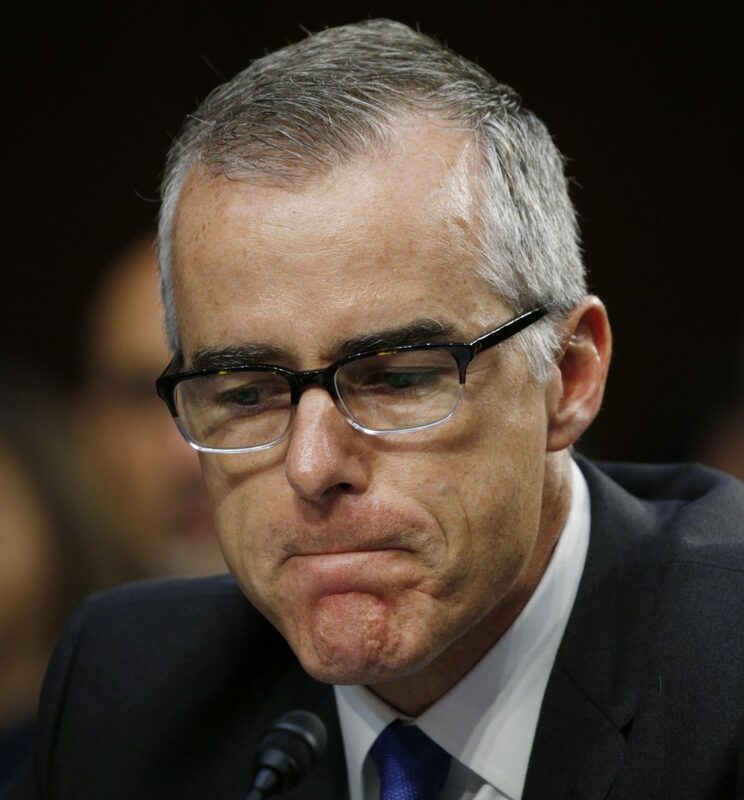 McCabe was later fired for lying to the DOJ inspector general and is currently the subject of a criminal grand jury investigation. Despite the ongoing assault from the intelligence community and holdovers from the Obama administration, Trump was not entirely without allies. 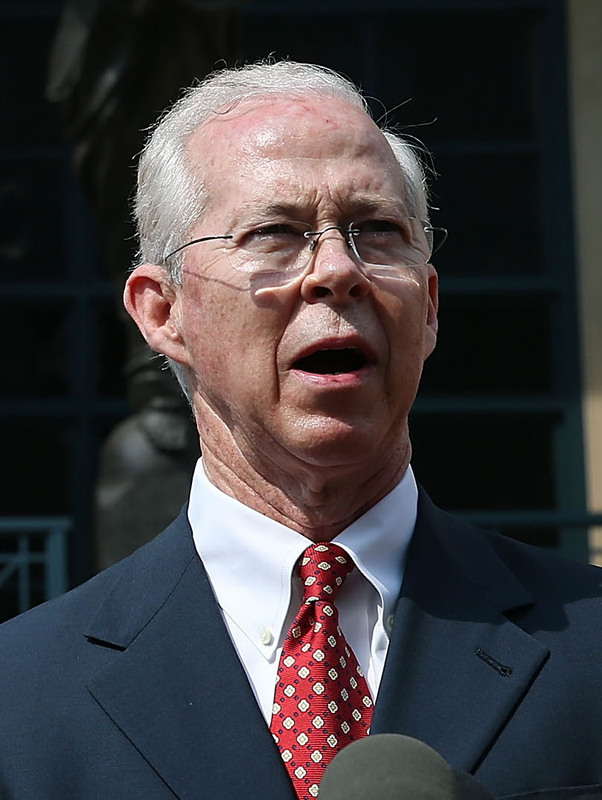 Dana Boente, one of the nation’s highest-profile federal prosecutors, served in a series of critical shifting roles within the Trump administration. Boente, who remained the U.S. attorney for the Eastern District of Virginia until early 2018, concurrently became the acting attorney general following the firing of Sally Yates. Boente, who was specifically appointed by Trump, was not directly in the line of succession that had been previously laid out under an unusual executive order from the Obama administration. Upon the confirmation of Sessions as attorney general, Boente next served as acting deputy attorney general until the confirmation of Rod Rosenstein as deputy attorney general on April 25, 2017. Boente then became the acting head of the DOJ’s National Security Division on April 28, 2017, following the sudden resignation of Mary McCord. Boente was appointed as FBI general counsel on Jan. 23, 2018, replacing Baker, who was demoted and reassigned. Baker is currently the subject of a criminal leak investigation. Boente remains in his position as FBI general counsel. On March 31, 2017, the Trump administration asked for the resignations all 46 holdover U.S. attorneys from the Obama administration. 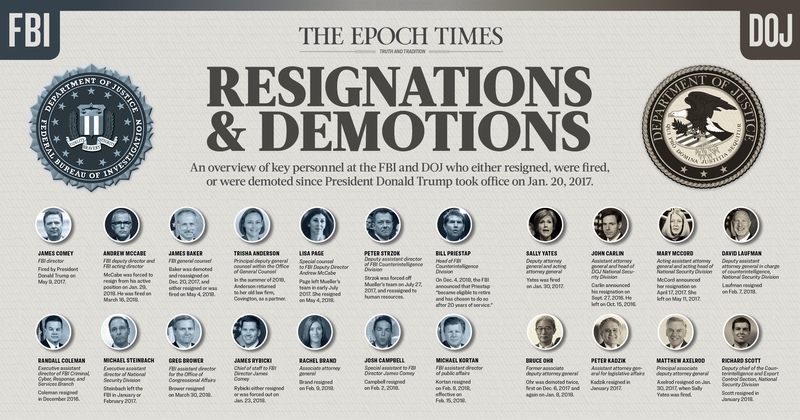 Trump refused to accept the resignations of just three of them—Boente, Rosenstein, and John Huber. The Carter Page FISA application has been the subject of significant media attention, but there’s another element to the story that, although largely ignored, is equally important. It involved what amounted to a surreptitious race between then-NSA Director Adm. Mike Rogers and DOJ National Security Division (NSD) head John Carlin. Following a March 9, 2016, discovery that outside contractors for the FBI had been accessing raw FISA data since at least 2015, Rogers directed the NSA’s Office of Compliance to conduct a “fundamental baseline review of compliance associated with 702” at some point in early April 2016 (Senate testimony & pages 83–84 of court ruling). On April 18, 2016, Rogers moved aggressively in response to the disclosures. He abruptly shut down all FBI outside-contractor access. At this point, both the FBI and the DOJ’s NSD became aware of Rogers’s compliance review. They may have known earlier, but they were certainly aware after outside-contractor access was halted. The DOJ’s NSD maintains oversight of the intelligence agencies’ use of Section 702 authority. The NSD and the Office of the Director of National Intelligence (ODNI) jointly conduct reviews of the intelligence agencies’ Section 702 activities every 60 days. The NSD—with notice to the ODNI—is required to report any incidents of agency noncompliance or misconduct to the FISA court. Instead of issuing individual court orders, the attorney general and the director of national intelligence (DNI) are required by Section 702 to provide the Foreign Intelligence Surveillance Court (FISC) with annual certifications that specify categories of foreign intelligence information the government is authorized to acquire, pursuant to Section 702. The attorney general and the DNI also must certify that Intelligence Community agencies will follow targeting procedures and minimization procedures that are approved by the FISC as part of the certification. Carlin filed the government’s proposed 2016 Section 702 certifications on Sept. 26, 2016. Carlin knew the general status of the compliance review by Rogers. The NSD was part of the review. Carlin failed to disclose a critical Jan. 7, 2016, report by the NSA inspector general and associated FISA abuse to the FISA court in his 2016 certification. Carlin also failed to disclose Rogers’s ongoing Section 702-compliance review. On Sept. 27, 2016, the day after he filed the annual certifications, Carlin announced his resignation, which would become effective on Oct. 15, 2016. On Oct. 15, 2016, Carlin formally left the NSD. On Oct. 20, 2016, Rogers was briefed by the NSA compliance officer on findings from the 702 NSA compliance audit. The audit had uncovered a large number of issues, including numerous “about query” violations (Senate testimony). Rogers shut down all “about query” activity on Oct. 21, 2016. “About queries” are particularly worrisome, since they occur when the target is neither the sender nor the recipient of the collected communication; rather, the target’s “query,” such as an email address, is being passed between two other communicants. On the same day, the DOJ and FBI sought and received a Title I FISA warrant on Trump campaign adviser Carter Page. At this point, the FISA court still was unaware of the Section 702 violations. “Two days later, on the day the Court otherwise would have had to complete its review of the certifications and procedures, the government made a written submission regarding those compliance problems … and the Court held a hearing to address them. The FISA court was unaware of the FISA “query” violations until they were presented to the court by then-NSA Director Rogers. Carlin didn’t disclose his knowledge of FISA abuse in the annual Section 702 certifications, apparently in order to avoid raising suspicions at the FISA court ahead of receiving the Carter Page FISA warrant. The FBI and the NSD were literally racing against Rogers’s investigation in order to obtain a FISA warrant on Carter Page. 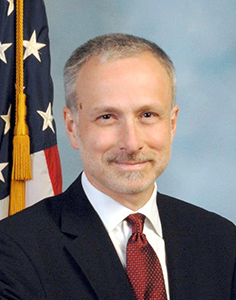 Rogers presented his findings directly to the FISA court’s presiding judge, Rosemary Collyer. Collyer and Rogers would work together for the next six months, addressing the issues that Rogers had uncovered. It was Collyer who wrote the April 26, 2017, FISA court ruling on the entire episode. It also was Collyer who signed the original FISA warrant on Carter Page on Oct. 21, 2016, before being apprised of the many issues by Rogers. Rogers informed Collyer of the ongoing FISA abuses by the FBI and NSD just three days after she personally signed the Carter Page FISA warrant. Virtually every FBI and NSD official with material involvement in the original Carter Page FISA application would later be removed—either through firing or resignation. Was Strzok’s August Interview Really About McCabe’s Spygate Role? What Was the True Collusion in Russia Scandal?